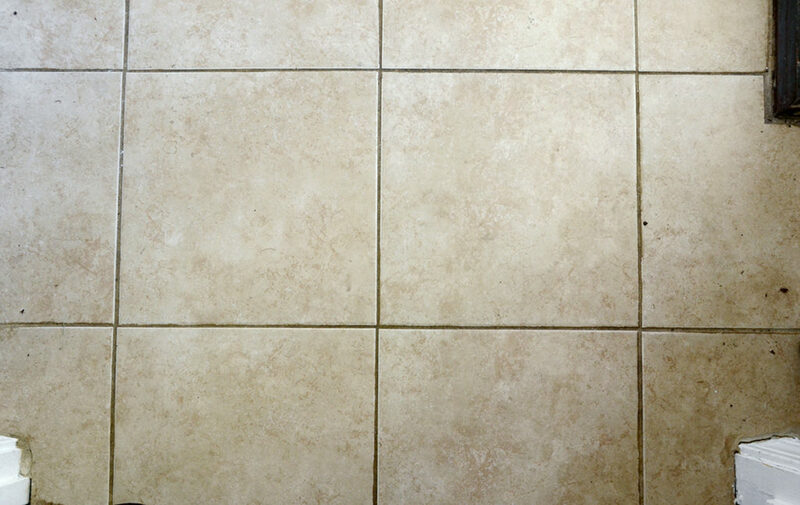 Dirty grout – it’s hard to avoid. But surprisingly enough, it’s pretty easy to fix using just a few household items that you probably already have on hand! 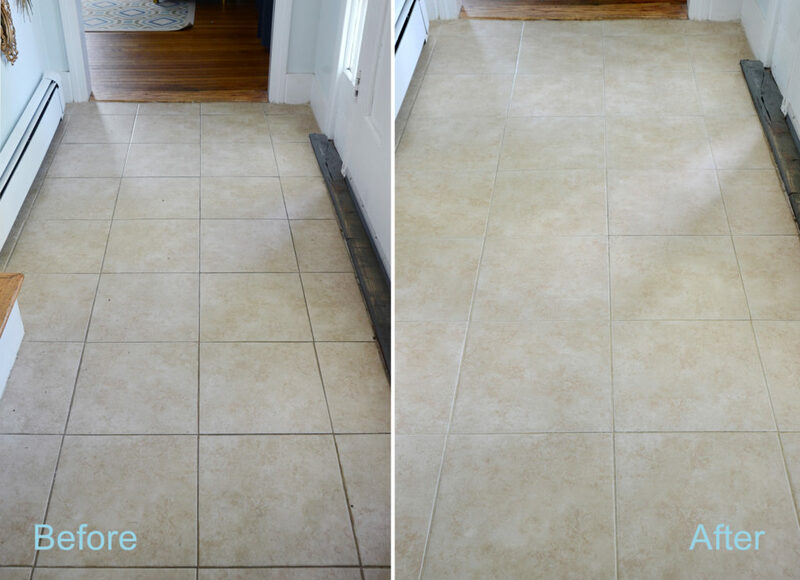 Read on to check out this totally easy DIY grout cleaner that’s sure to leave your dirty grout cleaner than when you started. Begin by combining the water, vinegar and lemon juice. 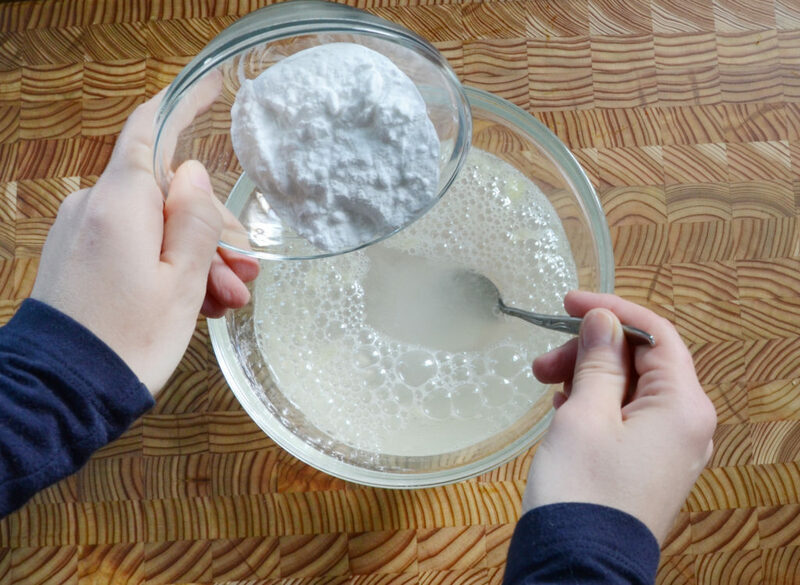 Then pour the baking soda into the mixture while stirring with a spoon. It will fizz and bubble… don’t be alarmed! Now head over to your dirty grout. This is a closeup of our front entryway…. yuck! Use a spoon to distribute the mixture along one section of the grout lines. Be sure to get some of the baking soda that has probably settled on the bottom. Let it sit for a couple of minutes, and then use your scrubbing sponge to, well, scrub at the grout. 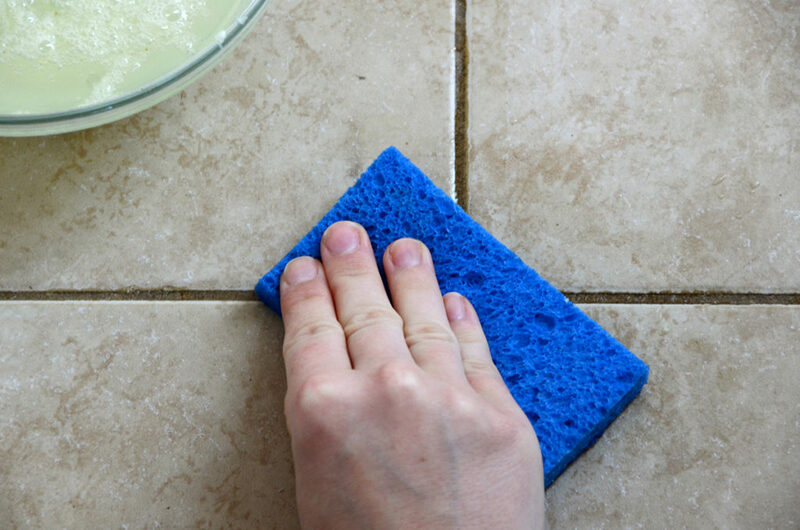 Be sure to test it in an inconspicuous area to make sure that the mixture doesn’t have a strange reaction to your tile (or that the sponge isn’t too abrasive for your tile). You can’t see it in this photo, but the other side of my sponge was quite abrasive. A toothbrush is another great tool for this project. The scrubbing does require some elbow grease – if you’re doing a large area, you may want to grab a friend to help or take a break overnight and do the second half the next day. Move onto the next section of tile and repeat the process. 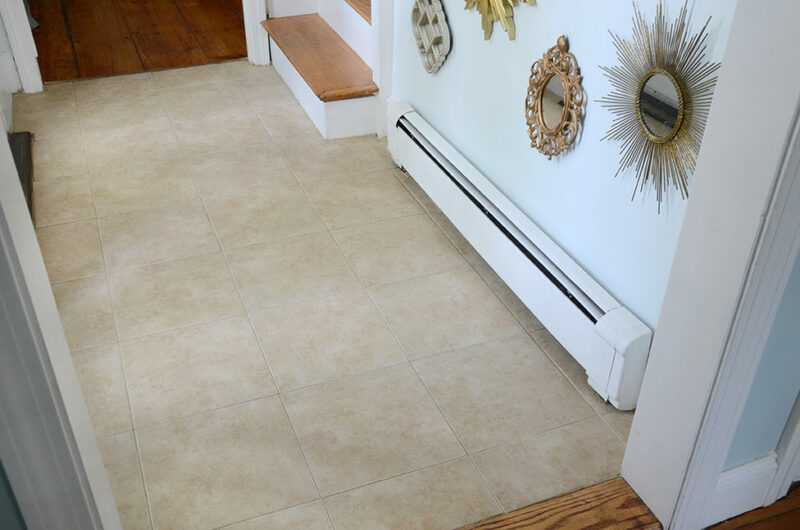 Once you’ve covered the entire area (or if you’re taking a break overnight) use a wet mop or rag to clean up all of the mixture from the floor. 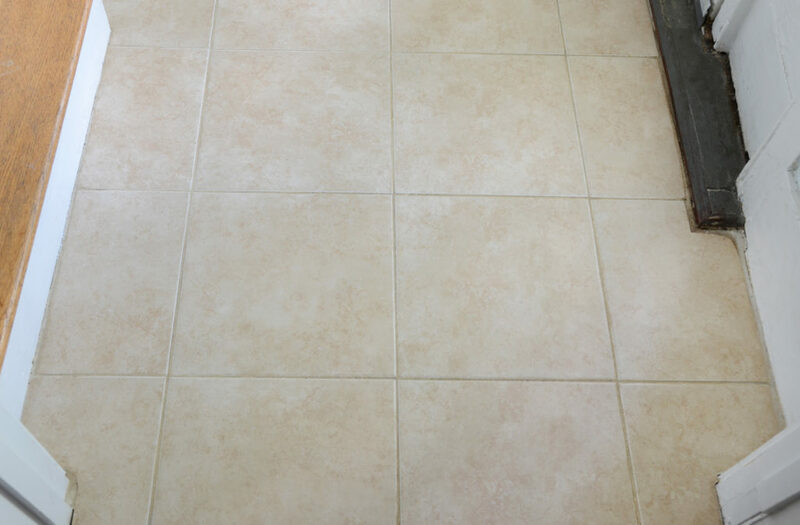 At this point your grout will still be wet, and will therefore still look somewhat dark. But, like magic, once it’s dry it will look much cleaner. Much better, right?! 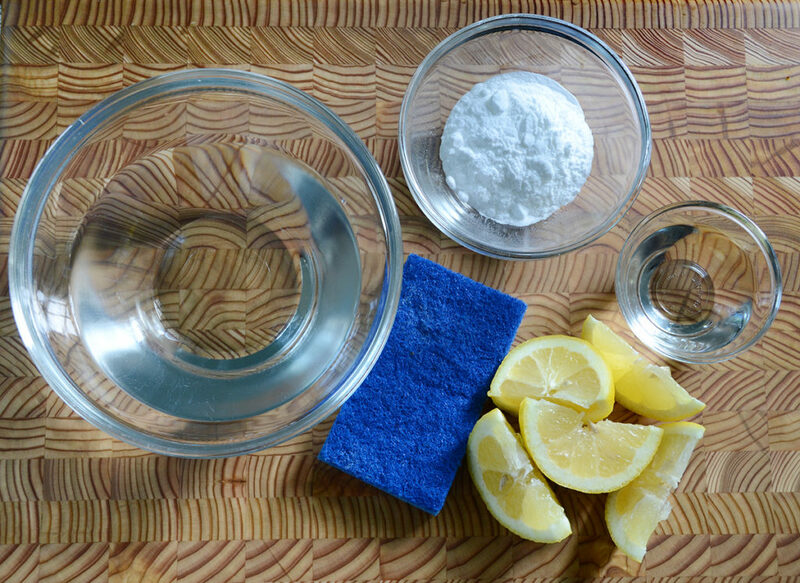 It’s amazing how well these plain old household ingredients work to clean up so much grime. And if I were to guess, this mixture is probably quite a bit cheaper than any store-bought grout cleaner. 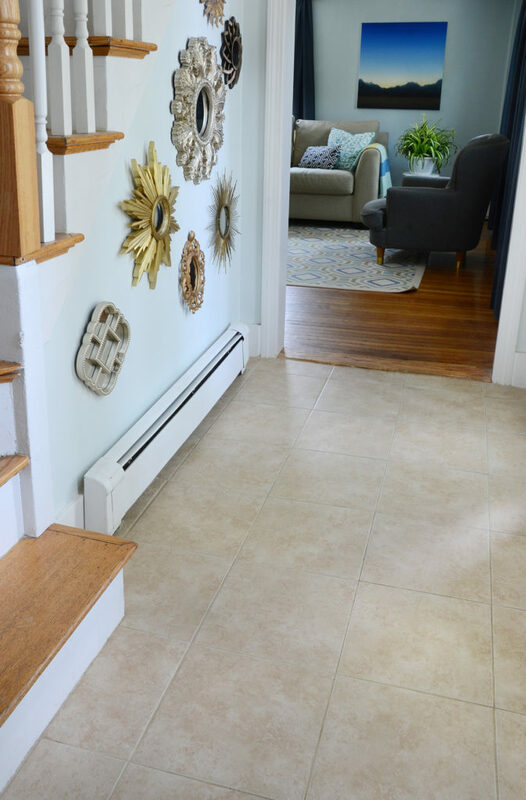 Now our guests don’t have to walk into a dirty entryway anymore. Happy cleaning everyone!